There was hardly a moment when the audience gazed down on their cell-phones to chat with their friends in this 2 Hour movie about a woman finding her missing husband, who doesn't seem to exist. At first, this Sujoy Ghosh directed thriller may be ignored as a yet another attempt to fix in some exotic disease on our protagonist and present it to the audience in a new look. Clearly we've had enough of that non-sense. But Kahaani is a completely different thriller, with a tightly woven script and brilliantly written characters. Even though, Kahaani has been advertised as a thriller, our characters are not put into unnecessary mortal peril or being kidnapped and being ported to different continents. This being reminiscent of most modern day thrillers, be it books or movies. Kahaani provides thrills quite differently. There is that uncanny touch to it, that puts you on the edge of your seat, thinking of what will happen next. All this is done with a very subtle backdrop and some good background music, which makes you feel as if you were along side the main leads solving the mystery. There is little to disclose about the plot here, there are many twists and turns which are served to you during the course of this two hour thriller. The story revolves around a pregnant Vidya Bagchi (Played by Vidya Balan) who has arrived in India in search for her missing husband. But the problem is, that there are no records about the fellow at all. What follows next is Vidya's pursuit in find her missing husband, filled with appropriate twists and turns. The Plot is original, but it is slightly inspired by popular literature like the Dan Brown thrillers. You'll find a few ideas taken from the 'Dan Brown Thriller Stencil' in this movie. There is a gruesome prologue, seemingly unconnected to the plot of the film, A hit-man answering to a unknown caller and executing murders by the confirmation of an MMS. There even is a subtle epilogue fixed into the movie. But truth be told, Sujoy Ghosh has created a thriller which is much better than Dan Brown's attempts using similar tools. Also the screen play is slightly inspired from Satyajit Ray's mysteries. The scene about running hot-water and Vidya Balan Opening the Windows of her room and sitting on the sill to see the city-scape are an ode to Satyajit Ray. But the director never lifted stuff directly from the books. In-direct references are only a tribute to the famous director. Acting is top-notch. Parambrata Chatterjee As Satyaki is phenomenal. Nawazuddin Siddiqui over does a little as the curt Intelligence Officer but is fine most of the time. The scene where his bellowing at Vidya Balan suddenly changes to a polite 'plea' was done with great poise. Vidya Balan is on a roll, this is probably her best performance we've seen in years. Moreover her character was written brilliantly, keeping any question of a weak performance at bay. One of the key elements of a good thriller is to create an element of shock and surprise at the end i.e. the point where the mystery unfolds. Sujoy Ghosh, does it quite nicely and puts the audience into a complete silence. Of course the effects on audience may vary from place to place, you may hear a sudden gasp, a loud whistle, some praises or even claps. Trust me, The mystery is that good, no one seems to have complained so far. I heard from lots of people about the movie, and all of them were spell-bound about the climax, they said it was one of the best they've seen in a thriller. Personally, I think that the climax was great but it could have been done with much more intensity and could have created a bigger impact. People sometimes go to a Hindi thriller with toned down expectations about its mystery but Kahaani is not a 'Kahaani' to be Underestimated. But all is not so good about the film, even though the mystery is more or less brilliant, it does leave a loop-hole or two, which leaves you slightly disappointed. Anyone who has seen 'Kahaani' would really be dead scared of these words, "Namoshkar!... Main Bob Biswas. Ek Minute". Bob Biswas is easily the best hit man ever created in a Hindi Movie. Played by the talented Saswata Chatterjee, Biswas is an LIC Agent in the mornings, and a brutal Assassin after work hours. The character of Bob Biswas is exceptionally well written. The dual nature of Bob is what makes him so dangerous. He may look like a local Bengali, an every day working man with a job at one of the 'Daftars' with a tinge of charm. His polite demeanor, carefully masks his true blood and makes him look totally Harmless. Moreover, he doesn't even look like a Hit-Man, he is in his mid-ages, slightly overweight, gets tired easily and might not be the ideal choice incase of a quick escape. But that is hardly needed, since Biswas, is an Assassin of the first order, he completes his task without so much as a hint of suspicion on him. In a sequence in the film, Vidya Balan is thrown towards a speeding Kolkata Metro by our Assassin Bob Biswas , only pulled back in time to be politely asked to go away. The fear that creeps Vidya Balan and the audience is quite genuine. Bob Biswas, is a truly inspirational character. 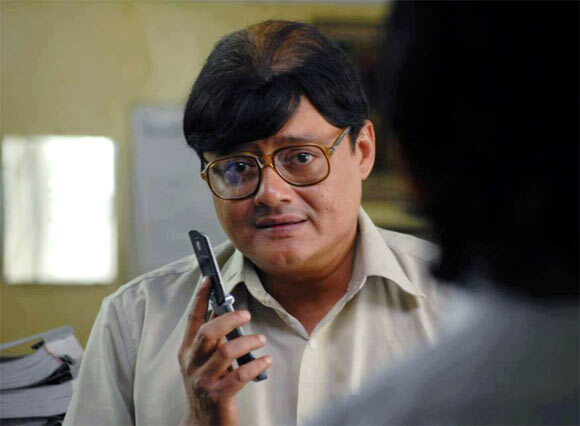 And Saswata Chatterjee pulls it off with great ease. I am sure, we'll be seeing more of him, in the near future. Kahaani is an entertaining thriller which requires your grey-cells to be in great form. It's a blink and miss movie, you just can't move from your seats while watching the movie. It's certainty the best Hindi movie in 2012 so far and will be ranked amongst the classics in time to come. Also, the movie has a replay ability, even though most of the movie depends on a mystery. You'll still enjoy it because of its calm backdrop and awesome performances. Yesterday I was reading a blog post on the internet, it was talking about how early Mountain Lion users were facing issues and how the same would not have been in Steve Jobs’ era. Hardly anything different from What Apple critics would say, but it left me to ponder on something. Why do people download Developer Previews when they aren’t developers? Of course there is a reason why developer only previews are released, they are meant for developers who want to make their apps compatible to new standards, evaluate or suggest changes which will eventually help their firms make their product better and provide ‘users’ the best experience. Quite certainly developer previews have some glitches, errors and aren’t fit for consumers at all. There isn’t any problem with that. Obviously That’s why they are developer only, so that developers can help software companies iron out any kinks in the software, to make them bug free and more secure before the final product comes out. The problem arises when every kid with a tech blog and access to torrents downloads these previews and berets the software for having glitches, which puts forward a negative image of the software. Why peep into the kitchen while the food is being made? Part of this Problem is the extensive media coverage a developer preview gets. Just minutes after the arrival of a new operating system’s Developer preview, the world of tech news is filled with In-Depth Previews of the developer preview. That is bound to make users excited to download the preview and try it themselves. Using a developer preview can be disastrous for the end-user. Me being a developer myself downloaded a developer preview of Windows 8 a few months back to help myself with web-app Development, while the preview helped me test my HTML5 apps on the New operating system, it also posed problems beyond my reach! For example the frequent blue-screen of death while shutting down was a major issue and I was hardly able to debug it from my end. Eventually I had to give up the idea of using a developer preview and use my good old Windows 7 instead. The same happened while using early builds of the iOS5, though the problems were more controlled then and there weren’t many crashes and it was a more productive outing, which helped my app Development team to be on track with the latest operating system and the latest frameworks, but A few really irritating software issues were imminent even in the later stages of the Beta Program. Summing it up I’d like to say, Developer previews are not for download unless you are actually a developer and not some techblogging teen geek. Apple finally unveiled the third generation iPad on March 7th 2012. Just about an year after it had announced the iPad 2. I’d like to start with the iPad 2 today. To make it clear iPad 2 was a major design upgrade. The new Aluminum back was just about how much Apple could change the iPad’s look in one update. And hence, contrary to what others might say, iPad 2 was the design overhaul update and not a stability update. So let’s paste Apple’s upgrade trends for iOS devices now. The first update usually brings a design overhaul while the second update becomes a stability update for the first one without any significant change in design. Therefore, The Third Generation iPad had to be a similar looking, more stable version of the iPad 2. It’s just that. And goes a little further. Retina Display: The iPhone 4 was the first device to get a retina display and so everyone had hoped that it will come to the iPad 2 also. Turns out a Retina Display on the iPad 2 was not only expensive it also had technical difficulties to overcome, and so it came an year later to the iPad screen. You’ve got to experience a retina display in person to know how it feels, it’s not the same thing as using one on an iPhone, it’s even better and brighter. Infact the 2048×1536 pixels resolution is even better than what an HD resolution would like on a tablet. The iPad with its Retina Display and IPS LCD has the best screen any mobile device (phone or Tablet) has ever had. And takes the 3rd Generation iPad miles ahead of competition in terms of graphics and display quality. Instantly all other tablets in the world, now look dull and of ancient ages. To top it all the new iPad maintains the same battery life of 10 hours which makes it all though more difficult for competitors to catch up with the father of all tablets. 5MP Camera: The back-camera which is now called an iSight Camera has got a major tech-bump in terms of image quality, the new iSight Camera, believe it or not, takes better pictures than the iPhone 4 camera. Even though both of them are 5MP. Yes, the key to great photography is not in the megapixels but the technology involved in the camera, and Apple’s idea of adding another lens and widening the camera aperture is a good one. And adds real color to the images. There are obviously high-expectations from the camera, given that the same technology did wonders for the iPhone 4S. The initial shots look great, but I won’t comment on the quality before I actually lay hands on one. A5X: it’s not A6 or last year’s A5. It’s the A5X processor. The A5X processor has a dual-core and quad-core graphics. Quad-Core Graphics engine now help the iPad to get better games with console-like graphics, Apple had demoed A NAMCO developed Action Game and the Infinity Blade Dungeons by Epic Games. Both of them had looked spectacular and the iPad like an equal amongst its console rivals. So, while A5X might not bring a steep performance update in CPU, but graphics have definitely become top-notch. Hence the name A5X and not A6. But a word about the technical specifications over here, Apple controls it’s own hardware and software and hence your new iPad is not likely to be a slow experience in any way. You are definitely going to get a blazing fast experience and by upgrading the hardware apple allows the developers to build better apps which provide a great experience to the customer. While we can compare Android Tablets by the processor speed, RAM or any other technical specification, we cannot do the same when comparing an Android Tablet to the iPad. So, when we compare an Android Tablet to the iPad we will also have to compare the user experience of using the same apps on both the devices, moreover an overall experience is to be compared rather than a fragment of it. 4G LTE: While Indian users might not get the 4G speeds on the third Generation iPad when it launches, users in the US have a lot to be happy about, The new iPad is a 4G LTE device which comes with AT&T, Bell, Rogers and Verizon as supported 4G suppliers. 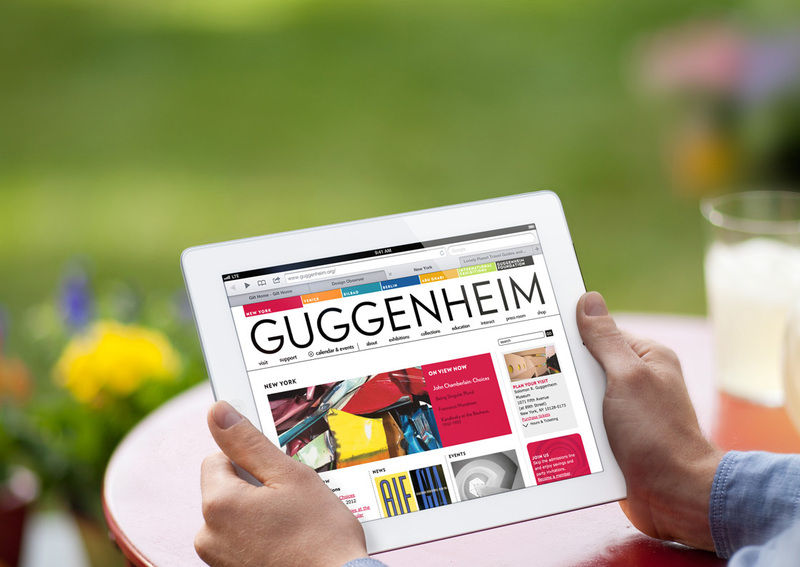 Moreover 4G LTE means that the new iPad will allow for faster web-browsing and web-experience. So this is 4G, of know use in the Indian Market but of immense power in areas it is present. Voice Dictation: Unlike the iPhone the iPad doesn’t come with Siri built in. The new iPad however has Voice Dictation. Voice dictation is a part of Siri, which takes voice input and converts it to text. We can expect Siri once it’s out of the beta stage, though. * The 3rd Generation iPad will release In 26 European countries on 23rd March 2012. Only Some of them have been listed above. In a time where the only significant tablet in the market is the iPad, And others are only catching up, even a minor update to the tablet would mean even more to catch up for the competition. The new iPad builds on the image of the previous two versions. And with more and more tablet buyers emerging everyday, the new iPad will gain on that front too. A major selling point of the iPad will be the Retina Display, with the Retina Display the new iPad opens up an array of improvements that graphic based content could get. And along with the new quad-core graphics, everything on the new iPad will look brighter and wonderful, specially movies and nextgen games. Should you Upgrade? Those who had bought the first generation iPad can upgrade now. The iPad has come a long way after its 2010 release, and with the new iPad being more of a stability upgrade, upgrading from the first generation iPad will definitely turn out to be a great idea. For Those who had bought the iPad 2, an upgrade is not recommended. The iPad 2 is nearly as good as the new iPad but sans Retina Display. For those wanting to buy a new iPad, it is a golden period to buy one.